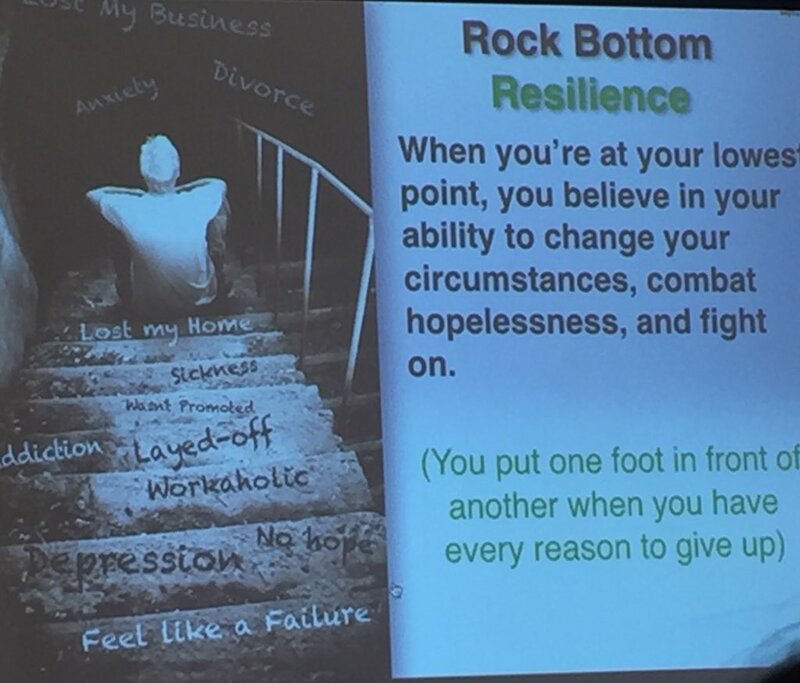 The Need for Resilience Resilience In Education Matters! A few weeks ago, I had the honor of presenting at the 5th National White House Convening at American University in Washington, D.C. In two whirlwind days, my colleagues and I heard from experts like Secretary of Education John King, Michelle Obama’s Chief of Staff Tina Tchen, Bill Mendoza, Executive Director of the White House Initiative on American Indian and Alaska Native Education; and many more policymakers, bestselling authors, educators, counseling professionals, and heavy-hitting advocates for youth success from across the United States. It was a privilege to count myself among these inspiring individuals. The theme of the convening was “Connecting the Dots: Cultural Competence, Counseling, and College and Career Readiness of Underserved Youth.” We explored the intersections between these topics, and discussed action plans and best practices for helping our nation’s most underserved youth become career and college ready. Stay engaged – When it comes to sensitive topics, we often disengage when the conversation becomes uncomfortable. This halts dialogue and makes progress impossible. Experience discomfort – Don’t be afraid of discomfort. If you can work through discomfort on sensitive topics successfully, you can become a better advocate for underserved populations. Speak your truth – Are there any emotions that keep you from speaking your truth during sensitive conversations? Work through these emotions so you’re better prepared to speak out. Expect and accept non-closure – We’re not going to solve all the problems of education and inequity overnight. Don’t expect difficult conversations to end in a resolution. Listen respectfully to others’ opinions – In all sensitive conversations, seek to understand and increase your awareness. Don’t be afraid to rethink your perspective. My presentation was Readiness Through Resilience: Practitioner-Based Strategies for College Readiness in Underserved Youth. Learn more about the Reach Higher Initiative by clicking HERE.